A Podcast on Human Consciousness! Hear from experts in neuroscience, philosophy and related fields discuss the human mind and consciousness. This week, I had the pleasure of speaking with Dr. Michael Nahm, and the topic was Terminal Lucidity, a term he coined. Terminal Lucidity has implications in end-of-life experience, Near Death Experience, and provides insight into human consciousness. Dr. Nahm is a Biologist and studied Zoology, Botanics, Genetics, and Palaeontology. Learn more about his thoughts, ideas, and studies at www.michaelnahm.com. Please enjoy this edition of The Consciousness Podcast with Dr. Michael Nahm. And listen past the end for a ‘far out’ discussion on psychedelics and Terminal Lucidity. The topic today is a term you coined, Terminal Lucidity. Can you tell us what that is and why you’re drawn to it? For those who have not observed or studied Terminal Lucidity, what is that experience like for the patient and for the family or friends who are there for that moment? How common, statistically, is Terminal Lucidity? Some hospice care nurses even tell families to expect it. Is what they describe different from actual ‘Terminal Lucidity’ due to the non-impairment of those patients’ brains? This has been observed even in patients with meningitis, brain tumors, Alzheimer’s disease or strokes. Can you tell us more about that? I find that interesting, given the physical damage that has occurred to those brains. Is there a correlation to the affected areas of the brain (temporal lobe in Alzheimer’s, other sections in brain tumors) even neuronal damage and this lucidity? If so, where do you think this moment of clarity originates? How have your studies of Terminal Lucidity affected your idea of the nature of the mind, consciousness overall? You mention that the mind, even memories, is not generated by the brain, “that the brain functions as a kind of filter or transmitter organ.” This gets right at the hard problem of consciousness. What are your thoughts, observations, hypotheses on what’s going on there with the mind/brain? How do you see the brain as this ‘filter’ or ‘transmitter organ’? I’m curious about the mind/brain ‘hard problem’ in many of these cases but especially of the 91-year-old stroke victim. The mind/brain problem seems to be mostly concerned with how, or even does, the brain create the mind or allow the mind to connect to the body. In this case, it almost appears as though her mind was able to overcome physical, neuronal blocks (a stroke) to facilitate muscle movement and speech that were physically impossible, or at least no longer controlled by her nervous system. Can you expand on that? Am I getting that right? How could that be possible? You have collaborated with NDE experts like Drs. Greyson and Kelly and their colleagues at UVA. How does Terminal Lucidity tie into the NDE experience? [timing, before death] Deathbed visions. What is your opinion on survival of the mind/consciousness after death? There’s a time element to the cases of Terminal Lucidity, from a couple weeks to minutes before death. Sorry if I’m going way out there, but…[what is time to a dying mind, what is time to consciousness]…is it possible that somebody with a normal/healthy brain/mind, who dies a sudden death, like from an accident or an aneurism or a massive heart attack, might also have his/her own Terminally Lucid experience (clarity)? Where do you see further study of Terminal Lucidity taking you, what are the long-term possibilities with your studies? Terminal Lucidity scale. …in the treatment of Alzheimer’s patients? …in helping families, doctors and families during those last moments? Is there anything else you’d like to share? Is there anything that I haven’t asked that you’d like to discuss? Far Out Question: Psilocybin reconnecting the networks; can that happen with a released chemical in the brain connected to the knowledge of pending death? Goes around damaged areas of the brain? This week, I had the pleasure of speaking with Dr. Dean Radin, Chief Scientist at the Institute of Noetic Sciences (IONS), and our conversation, I’d say, surrounded the topic of scientific study of the foundation of psi phenomena and consciousness. Dr. Radin earned an MS in electrical engineering and a PhD in psychology from the University of Illinois, Urbana-Champaign. Before joining the research staff at Noetic Sciences in 2001, he held appointments at AT&T Bell Labs, Princeton University, University of Edinburgh, and SRI International. He is author or coauthor of over 250 technical and popular articles, three dozen book chapters, and three books including the best-selling The Conscious Universe, Entangled Minds, and the 2014 Silver Nautilus Book Award winner, SUPERNORMAL. His latest book, Real Magic, is available now at booksellers everywhere. We had a fascinating discussion, so please enjoy my conversation with Dr. Dean Radin. Get Dr. Radin’s lastest book today! Some of your work centers around the concept that ‘we are all part of an interconnected whole’ — like the double-slit experiment, random number generator, and the ‘being stared at’ study — [we’ll discuss some of these in more detail]. Can you tell us what that means, “interconnected whole”? Is it the interconnection of consciousnesses? Is there a larger consciousness that we all tap into? You’re probably sick of having to do this, but…could you give a relatively simple explanation of your double-slit experiment and the implications the results have in understanding consciousness? So, what do you think it as play here? What do you think is happening? In your experiment’s results, why the distinction between those who meditate and those who don’t? What made you even want to observe that difference? You also did a meta study on the ‘sense of being stared at’, right? What did you find there, regarding consciousness? What other psi research have you done, especially as it relates to consciousness? You seem to get a lot of criticism for your work. What do you think is behind all of that skepticism? What draws the most criticism? In your synchronicity story (PSI Quest Labs), you mention ‘consciousness that’s emerging into the world at large’. Can you expand on that concept (emergence of consciousness outside the mind/body)? How would that work? What other psi phenomena have you studied, and how does consciousness tie into those? Please tell us a little bit about the Institute of Noetic Sciences and what you guys are focused on these days. Other than what we’ve covered here, is there anything else you’d like to share with us? 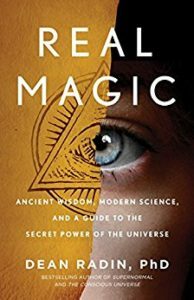 You have a new book being released in April, Real Magic. What do you cover in that book? This week, I had the pleasure of speaking with Dr. Bernard Kobes from my Alma Mater, Arizona State University. Dr. Kobes has been an Associate Professor of Philosophy at ASU since 1986, where he has been recognized with numerous awards. We covered everything from what-it-is-like consciousness to the emergence of consciousness in both individuals and in species to the morality and ethics of uploading one’s consciousness into a computer. Tell us about your seminar, Philosophy of Mind: Consciousness, and its topic: Metaphysical aspects of an apparent tension between dependence of consciousness on the physical brain and body, and the novelty of consciousness relative to the physical. What is that dependence of consciousness on the physical brain and body? How does this relate to your idea of dualism/physicalism? Does this explore the binding of the mind to the body? Does consciousness emerge from the physical layers of the brain/body? What is ‘emergentism’? What about weak and strong emergence? What is that, and what is your view on this? You describe consciousness (what-it-is-like consciousness) as one of the layers. What are the layers? At what point do the layers move from physical to metaphysical/phenomenal? How do the Mary and archangel arguments help explain this? How is emergentism a form a dualism, or is it? The physical closure principle (every physical event that has a cause has a sufficient physical cause): how does this play into dualism? Do you accept this? Panpsychism: you argue that panpsychism is not plausible, because of the ‘combination problem’. Can you explain/expand on that? You reject substance-dualism. What about property dualism? Maybe provide an explanation of each if pertinent. Regarding your “thoughts and conjectures about distinctively human forms of consciousness, based partly on a lecture given at ASU on February 1, 2018, by the paleoanthropologist Ian Tattersall,” can you give us a quick synopsis on your ideas regarding the evolution of consciousness in humans, including any key points you find particularly interesting? What about Block’s notion of ‘access to consciousness’. What do you mean by that? You’ve discussed emergence of consciousness as related to an individual mind/brain. What are you thoughts here on the emergence of ‘consciousness’ in a species, in humans? What is “constitution of consciousness”? Do you see any breakthroughs coming in the study/understanding of consciousness? Is one’s consciousness something, like knowledge and wisdom or muscle development, something that one can exercise/improve/expand upon? In addition to what we’ve discussed, is there anything else you’d like to bring up and/or discuss? This week, I had the pleasure of speaking with Jonathan Simon, who is a a postdoctoral associate in the NYU Department of Philosophy, and research fellow of the NYU Center for Mind, Brain and Consciousness and the Global Institute for Advanced Study Project on Space, Time and Consciousness. His primary research is in the metaphysics of mind. He also has research interests in perception, the metaphysics of science, moral psychology, value theory, and legal and political philosophy. We had a great discussion on property dualism, the immortality of the soul, and more. Let’s start with this: how do you define consciousness? You describe yourself as a ‘property’ dualist? What exactly is that? A discussion on the neural correlates, emergence of mind/consciousness, and your his views. Tell me about the topic of your dissertation, ‘borderline’ consciousness. What does that mean? What is your view on the matter? Are you familiar with research done by Dr. Tononi and Dr.Koch on their experiments in measuring consciousness? I would think that could have fascinating ramifications on testing borderline consciousness. So…your take on panpsychism, then? Can consciousness survive the death of the body/brain, is it immortal, in your view? In your paper on immortality, you describe a gap, a kind of quantum leap, between existence and non-existence that is the central issue of the survival of consciousness. Can you quickly give us a summary of that argument? Where do you land on that? The argument is about the immortality of the ‘soul’. Does ‘soul’ equate to consciousness? If the immortality arguments holds true (true? Valid? I’m starting to get philosophy 101 flashbacks), what actually survives? Any thought as to if/how quantum physics theory could play into this? Is there a practical application to all of this? Is there some way we can expand, exercise, observe our own consciousness? What are you going to be studying or working on in the future, when it comes to consciousness? Do you see any breakthroughs coming that really get you excited? And…a short discussion on Artificial Intelligence and consciousness. This week, I had the pleasure of speaking with Dr. George Mashour. Dr. Mashour is an anesthesiologist and neuroscientist who is internationally recognized for his study of consciousness. He approaches the question of consciousness using computational models, experimental models, translational studies in healthy volunteers, and clinical research in surgical patients.He thinks a lot about the universe and how it came to be, about the brain, how it produces consciousness and how the sentient mind emerges from the physical brain. We covered those topics and more, so please enjoy my conversation with Dr. Mashour. How did you come to study consciousness? Is that a natural part of being an anesthesiologist? Is it part of understanding what your patients are experiencing? How do you define consciousness? What is consciousness? You mention anesthesiology with ‘other states of consciousness.’ What are those states and what have you learned about them from your work? What is ‘cognitive binding’, and the binding problem? How is it a crucial event for consciousness itself? I see you mentioned this binding to altered states of consciousness. Are those the states you mentioned above? How do anesthetics play into these bindings? Is the administering of anesthetics ‘cognitive UNbinding’? What else, if anything, can cause this ‘unbinding’ and create similar effects on consciousness? Simultaneity, what is it, can you explain that real quick? How does simultaneity (temporal binding) play into this, relative to consciousness? Have you observed the actual emergence of consciousness, as one moves from unconscious to consciousness under anesthesica and vice versa? Does that provide any insight into what might be the initial emergence of consciousness in a maturing human (animal), or even that within a species? Can one measure consciousness, especially as it relates to anesthetics administered to a patient? Does your work, your study relate, or even help answer, the ‘hard problem of consciousness’? How does your work incorporate the philosophy of Kant? What does the brain know or not know at different levels of consciousness? I saw in your video from The Science of Consciousness event, that you mention ego dissolution with Ketamine. What does that mean to you, in terms of ‘ego’, consciousness, and the dissolution of the ego? What happens during ego dissolution? What lessons can we take from your studies? How do you think we’ll see consciousness differently from our current view? Do you think there will be a way that we can use your this knowledge to affect our own consciousness, to exercise it, to expand it, to connect it to others’? Do you see any SciFi in your work? Is there anything else that you would like to share regarding your studies? This week, I had the pleasure of speaking with Theoretical Quantum Physicist, and Quantum Activist, Dr. Amit Goswami. Dr. Goswami is a retired full professor from the University of Oregon’s Department of Physics where he served from 1968 to 1997. He is a pioneer of the new paradigm of science called “science within consciousness,” an idea he developed in his seminal book, The SelfAware Universe. 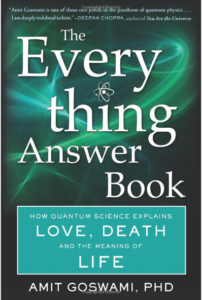 Dr. Goswami has written many other popular books based on his research on quantum physics and consciousness, including ,his latest book, The Everything Answer Book, in which his basic premise is that quantum physics is the key to understanding consciousness, life, death, God, psychology, and the meaning of life. In short, quantum physics is indeed the theory of everything. It was an insightful discussion, so please enjoy my conversation with Dr. Amit Goswami. First of all, please give us a little background on your studies and theories, especially as it relates to consciousness. I like to ask this of my guests: how do you define consciousness? You describe a ‘quantum consciousness’. Are you describing a causal relationship, an underlying physical explanation, of consciousness? Can consciousness be measured? Are there strange, quantum effects from conducting these measurements? You mention the need to integrate science and spirituality. How do you integrate those two, and how does quantum physics come in there? In your view, consciousness exists outside of the brain. Can you expand on that a bit? You mention scientific evidence of the survival of consciousness after death. Can you provide some examples? What is the notion you mention of ‘evolution of the mind’? Is that something we can play an active part in, individually? Can we change/modify/exercise/expand our own consciousness? You include the ‘meaning of life’ in your book. How is the meaning of life tied to consciousness, or is it? You mention that ‘Materialism is like an epidemic disease that has to be healed. And quantum science can be part of the healing.’ How can quantum science, quantum physics, be part of that healing? How does that work, exactly? Given the quantum nature of consciousness, where do you stand on panpsychism? Do you think all living things are conscious? How about a rock? What about Cosmic Consciousness, the idea that there’s a larger, ubiquitous consciousness that can be tapped into? Please tell us how creativity plays a role in what you describe as a ‘discontinuous creative insight’. It sounds as if you’re talking about freeing consciousness from the constructs of the mind/ego? As quantum theory expands to include ‘field theory’ as opposed to particle theory, how does that play into your ideas of quantum physics and consciousness? I know that this conversation has been focused, obviously, on Consciousness. Before we leave, I’d like to give you an opportunity to discuss any other topic. I know your book covers, well, literally, ‘Everything.’ Is there anything else you’d like to bring up? Quantum activism? Anything? This week, I had the pleasure of speaking with Dr. Christof Koch, and the topic, I would say, was panpsychism, but we covered so much of his work in human consciousness, including the Integrated Information Theory and a breaking new way to measure consciousness. It was a great conversation, one which has me thinking of some great new Science Fiction ideas based in some amazing reality. Christof is the Chief Scientific Officer of the Allen Institute for Brain Science in Seattle, Washington. From 1986 until 2013, he was a Professor of Biology and Engineering at the California Institute of Technology in Pasadena. While born in Kansas City, he grew up in Amsterdam/Holland, Bonn/Germany, Ottawa/Canada, and Rabat/Morocco. His education includes the Lycée Descartes with a French Baccalaurèat, studies in Physics and Philosophy in Tübingen, Germany, where he earned his PhD from the Max-Planck-Institut. He spent four years as a post-doctoral fellow at the Artificial Intelligence Laboratory and at the Brain and Cognitive Sciences department at MIT. He thinks a lot about the universe and how it came to be, about the brain, how it produces consciousness and how the sentient mind emerges from the physical brain. We covered that and much more, so please enjoy my conversation with Christof Koch. The more a system can affect itself, the more it is conscious. Is this measurable, quantitatively? Is that what Phi is? You don’t agree with the concept of human exceptionalism (a la religion). I wonder though, if studying consciousness has given you any insight into afterlife and the survival of consciousness? With the idea of panpsychism, do you think the individual consciousnesses are connected to each other? Do you think, with consciousness being common to ‘all God’s creatures’ that they could be tapping into a larger, cosmic consciousness? How does this influence your idea of dualism and physicalism? What about rocks and trees? Do they have consciousness? Using the Integrated Information Theory, would that extend to any form of matter? Integrated information theory of a system: Significant that a computer’s stored information is disconnected bits, not interconnected like our conscious minds. However, lately, these bits have been intelligently connected by computers (machine learning). Do you think this might give computers consciousness, somehow? How close is the internet to waking up? Do you think you’ll be able to measure the Internet’s Phi? Unity of consciousness, different parts of the brain. Consciousness goes away in deep sleep. Curious, but not sure what to ask here. Is it both the complexity and integratedness of the brain that render consciousness? In 2013, you spent time with Buddhist monks in India. You debated the Dalai Llama for a full day on ‘consciousness’? What did you learn from him? What do you think he learned from you? Using what we’ve discussed today, is there a way for an individual to exercise/improve/develop his/her consciousness? Is there a way to access deeper levels of our consciousness? years through the Department of Electrical Engineering at Duke and finally through a private research institute in Chapel Hill. You may be familiar with his books, Irreducible Mind and Beyond Physicalism. He has now returned to his central long-term research interest – the application of modern functional neuroimaging methods to intensive psychophysiological studies of psi and altered states of consciousness. What exactly is psi, especially as it relates to your experiments and studies? Why is a discussion of materialism important regarding consciousness? Would you like to share some of the examples from Irreducible Mind that show that physicalism is false? Psi phenomena are real (“take it to the bank”). What are some examples of psi-phenomena? Does a crisis apparition have consciousness? Does the apparition’s original, material body’s consciousness survive in this apparition? A discussion of near-death experiences (NDE) and how they relate to consciousness. What are your thoughts as to what’s going on with a person’s consciousness during an NDE? You mention that there are physical requirements in the brain, according to neuroscientists, for consciousness to exist. But, with an NDE, those requirements are not there. Can you expand a little on consciousness and the NDE? How do you define ‘self’? Is there such a thing in your view? You mention Mrs. Piper and mediums and how they can connect with the deceased. How do you think that happens? There is so much there, in the context of consciousness. The deceased person’s consciousness persists, and is accessible somehow, somewhere. The medium is able to connect, even communicate with this consciousness. Can you share your thoughts on this process and how it happens? So, you mention that a picture is coming together of how the mind and brain work together. I guess, obviously, you believe in the duality of mind/brain. Would you mind giving us your description or definition of this duality? The mind is a ‘larger something.’ What is that something? The brain anchors this consciousness. Aldous Huxley says it also filters a common, universal knowledge and memory (my interpretation). Any thoughts on that, the brain as a filter or portal into a ‘cosmic consciousness’? Beyond Physicalism (Amazon): Toward Reconciliation of Science and Spirituality. To paraphrase: we are connected to something bigger that is expressing itself through our [consciousness] evolution. Can you speak to that a little bit? You mention that we’re approaching a major inflection point in our intellectual (growth) history. What kind of leap are you predicting/envisioning? How is this tied to our consciousness? How does DOPS play into that? Listen to Part 1 of this interview. This week, we pick up where we left off with my conversation with Raphaël Millière, and our topic was Psychedelics and Consciousness. It was a great conversation. So, please enjoy the conclusion of my time with Raphaël Millière. We begin with a discussion on the boundary between self and ‘the world’ once ego dissolution begins. Listen to Part 2 of this interview. This week, I had the pleasure of speaking with Raphaël Millière, and our topic was Psychedelics and Consciousness. Raphaël Millière is a third-year PhD student in philosophy at the University of Oxford and an Ertegun Scholar, working under the supervision of Martin Davies. He is also affiliated to the Center for Subjectivity Research of the University of Copenhagen, as part of an external co-supervision agreement with Dan Zahavi. Additionally, he is a research member and coordinator of ALIUS, an interdisciplinary research group on altered states of consciousness and organized an interdisciplinary conference in Oxford on The Sense of Self. As an introduction, tell us about ALIUS and it’s mission. What are altered states of consciousness? Any relation between dreaming and psychedelic-induced states of consciousness? Let’s narrow the focus to psychedelics and consciousness. 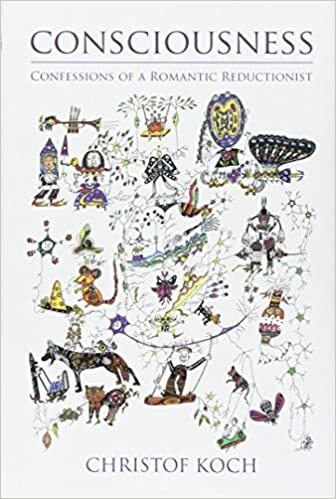 First of all, Looking for the Self: Phenomenology, Neurophysiology and Philosophical Significance of Drug-induced Ego Dissolution, is amazing and way above my own cognitive abilities, but it presents quite a few questions. Is this what psychonauts, those who partake in psychedelic drugs, call ego death? Why are you studying this? Why is it important to you, to anyone? I’d like to know more about what you have discovered in the bridging of the phenomenology and neurophysiology behind a DIED experience. Are you breaking away from the central self awareness test, “Something it is like to be…”? THERE IS NOTHING IT IS LIKE TO BE AN IPAD; BRAIN STATES THAT ARE NOT CONSCIOUS; SOMETHING IT IS LIKE ‘FOR ME’…; REDNESS, WRONGNESS. SELF AWARENESS = SELF CONSCIOUSNESS, OF ONESELF. SOMETHING IT IS LIKE TO BE ME. BACKGROUND SENSE OF SELF. Is this tied to the default mode network? How does that relate to consciousness? Is it a ‘rough and ready’ model of predictive processing (mentioned later)? So, what IS that ‘boundary’ between self and world? Is it phenomenological, neurophysical? MIND ALWAYS TRYING TO MAKE SENSE OUT OF THE INPUTS; WHERE DO I FIT INTO THIS WORLD; SHIFT IN PERSPECTIVE; CREATION OF MODELS (ALTERED MODELS); BINDING INFO INCORRECTLY, NOT TO SELF. PERIPERSONAL SPACE, AROUND ME; DO PSYCHEDELICS BREAK THIS DOWN, ALTER IT? Your machine learning analysis of the Erowid trip reports is interesting. My son worked with machine learning as well. I know results are still to come, but any surprises or insights so far? The “predictive processing theory of cognition”, which “views the brain as a prediction machine that models the causal structure of the world to anticipate future inputs”…Do these predictions happen before we’re aware of them? How does that play into consciousness? Can we predict the psychedelic altered state of consciousness and maybe even mold it to our needs? Perception is a ‘controlled hallucination’? Where is the line between reality and the models in our brains? Most of the discussion about psychedelics and consciousness so far has been around ego dissolution. Do you have other observations on how these drugs can or do affect consciousness? It was a great conversation. So, please enjoy Part 1 of our time with Raphaël Millière.